These addictive fudgy Chickpea Flour Brownies are easy to make using just one bowl! They are also vegan, gluten-free, grain-free, nut-free and refined sugar-free. And they feature two surprise ingredients. Like chickpea flour, which I used to make the most amazing vegan gravy as well as a roux for my stovetop vegan mac and cheese, for example. It really is such a versatile alternative flour to use for both cooking and baking. And of course, it adds a boost of protein, fiber and iron too. Not only have I come to love chickpea flour, but I’ve also been experimenting with another chickpea product…aquafaba. In case you’re not familiar with aquafaba, it’s the liquid found in a can of chickpeas that is typically sent down the drain when the chickpeas are rinsed. However, this “chickpea juice” has been gaining popularity recently as an egg replacement in vegan baking and cooking. Typically, 3 tablespoons of aquafaba is equivalent to one egg. However, this is just an estimate. To gather aquafaba, I place a mesh strainer over a small mixing bowl and drain canned chickpeas right into the bowl. It is important that you use no salt added chickpeas or the salt content of your baked goods will be skewed. After the chickpeas are drained, I then pour the aquafaba into a mason jar for storage. The word on the internet is that the liquid is safe to use when refrigerated for up to one week, but it can also be frozen. I have yet to freeze it, so I can’t speak from experience on this. Aside from these brownies, I’ve also successfully used aquafaba in cookies, which I plan to share on the blog in the near future. 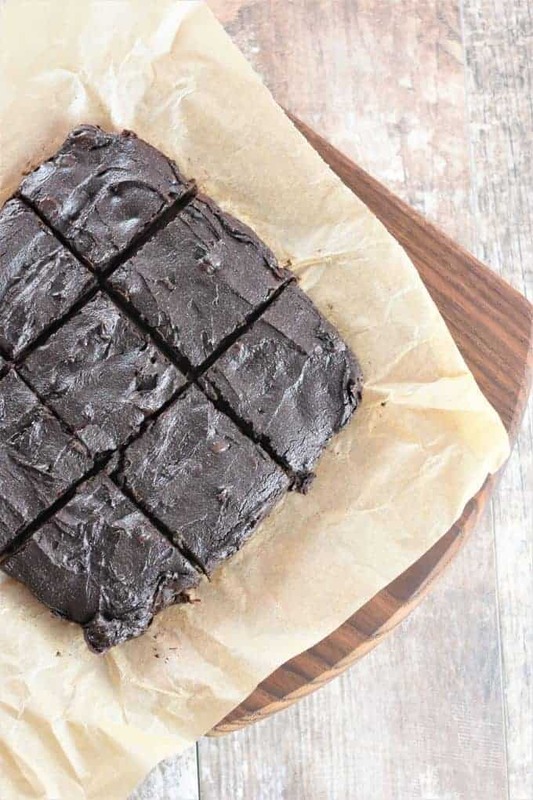 What else makes these gluten-free, vegan brownies unique? Thanks to the local grocer and the invention of canning, pumpkin can be enjoyed any time of year. Not only does the pumpkin add a slew of nutrients to these brownies such as vitamin A, vitamin C, vitamin E, vitamin K, magnesium, potassium, fiber, iron, protein and more to these brownies, but it also helps to keep them moist. Three cheers for pumpkin! Yay! Altogether, there are only 10 ingredients required to make these amazingly fudgy brownies…and just one bowl! Now, I know you want to make them, so what are you waiting for..an invitation? First, preheat your oven to 350°F and line an 8×8-inch baking dish with parchment paper. There should be some parchment sticking up on the sides (enough for you to grab onto later on). Then, add coconut oil, pumpkin puree, coconut sugar, vanilla extract and aquafaba in a large mixing bowl. Next, whisk in chickpea flour, baking soda and kosher salt. Spread batter evenly in the parchment-lined 8×8-inch baking dish. Bake for 20-26 minutes (mine took 24 minutes). Allow to cool in the baking dish for 30 minutes. Then, carefully grab onto the sides of the parchment paper and transfer the brownies, along with the parchment paper, to a flat surface. Preheat your oven to 350°F and line an 8x8-inch baking dish with parchment paper. There should be some parchment sticking up on the sides (enough for you to grab onto later on). Whisk together coconut oil, pumpkin puree, coconut sugar, vanilla extract and aquafaba in a large mixing bowl. Whisk in chickpea flour, baking soda and kosher salt. Spread batter evenly in the parchment-lined 8x8-inch baking dish. Bake on the center rack for 20-26 minutes (mine took 24 minutes) until a toothpick inserted into the center comes out clean with no streaks of batter (some crumbs are fine). Allow to cool in the baking dish for 30 minutes. 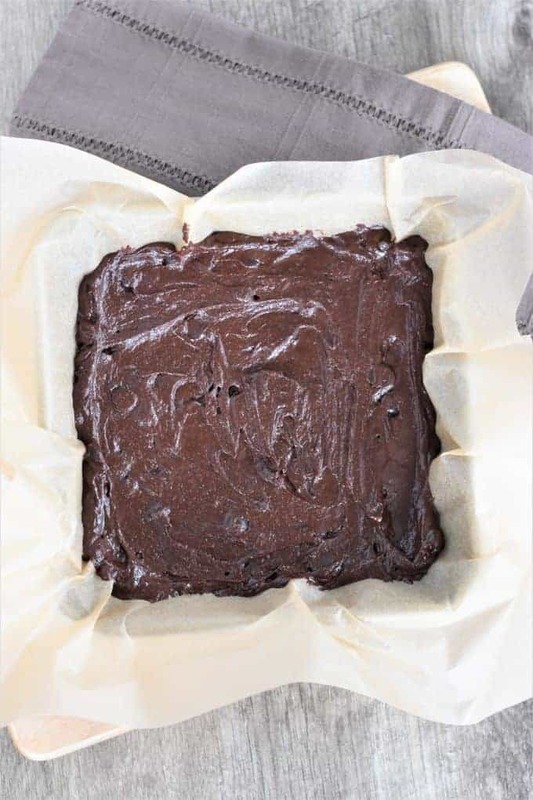 Then, carefully grab onto the sides of the parchment paper and transfer the brownies, along with the parchment paper, to a flat surface. 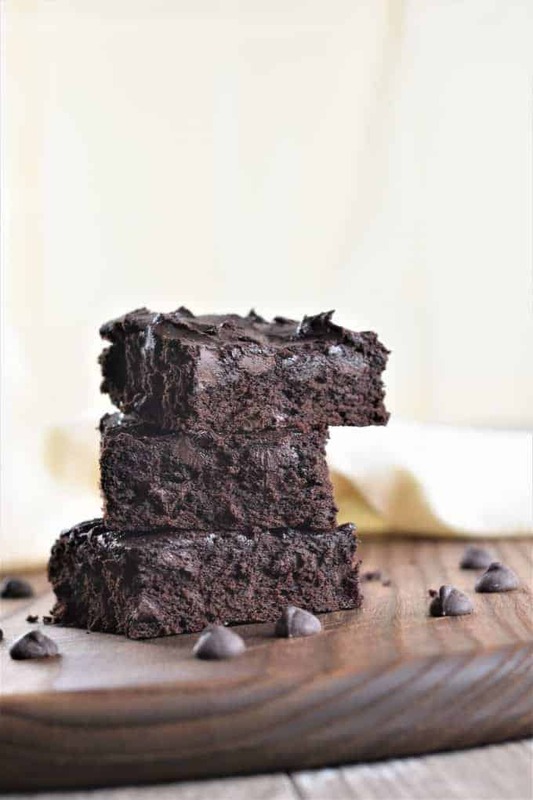 Brownies can be stored in an airtight container at room temperature for 1-2 days or in an airtight container in the refrigerator for up to 5 days. I don't recommend tasting the uncooked batter. Chickpea flour does not have a pleasant taste when it is raw. 2 flax eggs (whisk 2 tablespoons ground flaxseed and 6 tablespoons of water with a fork, cover and set aside for 10-15 minutes). If you are not vegan, this recipe also works with 2 large eggs. Aquafaba is going to be the next latest and greatest thing, I swear!!! And honestly, for good reason! Totally agree! LOVE aquafaba! 🙂 Thanks GiGi! I could pretty much eat all of these by myself! Fudgy brownies are my favorite! Guilty of that myself…lol 🙂 Thank you Sabrina! Love that just because someone lives a vegan lifestyle they don’t have to lose out on the good stuff. 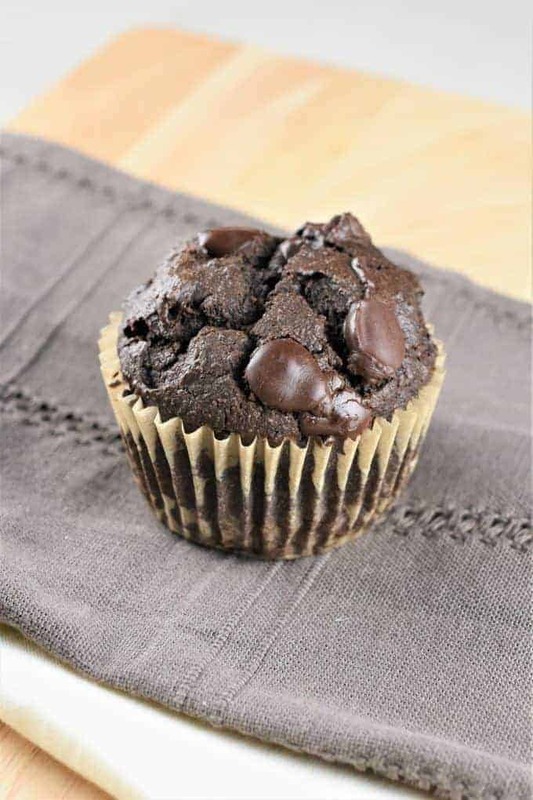 These sound fantastic and much healthier than the box brownies. I love the idea of making these for my kids and getting more good ingredients into them. I bet they would never guess they are make with chickpeas. They look like they have a wonderful consistency. Thanks Vicky! They just happen to be my 7-year-old’s favorite and she even requested I make them for her class for her birthday this year. 🙂 Hope you give them a try! There’s nothing I love more than a fudgy brownie, and these brownies look like perfection! I often have chickpea flour for Indian dishes but never thought to use it in baking. 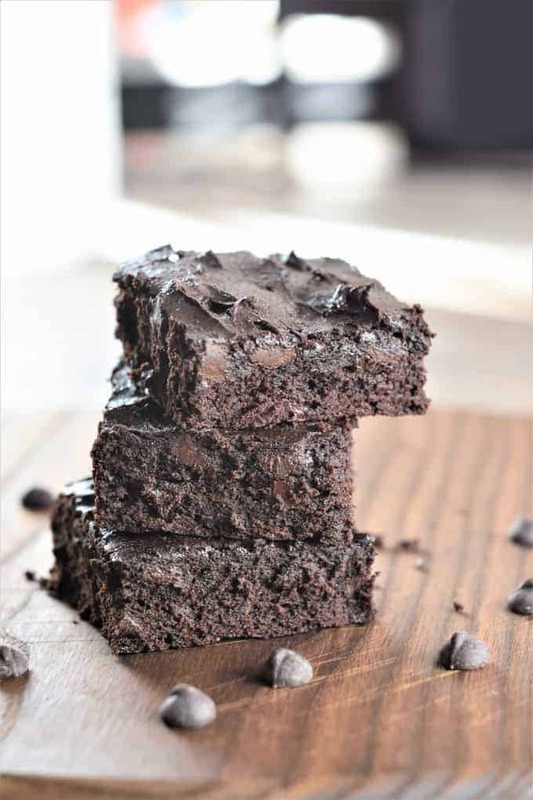 These brownies also look so deliciously moist!